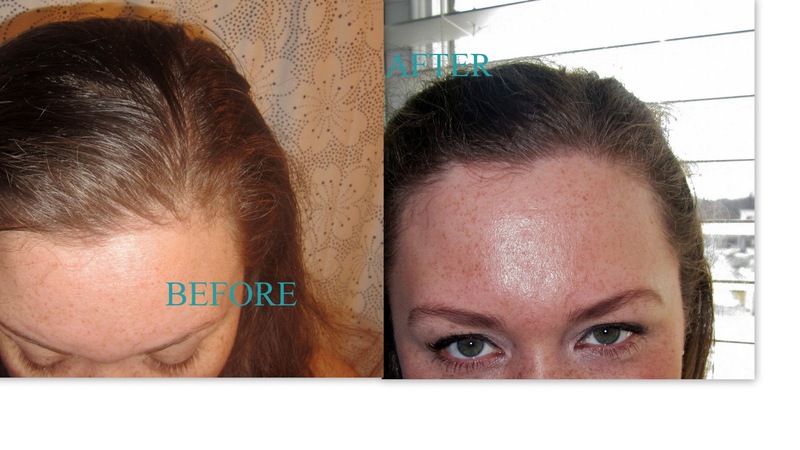 PARNEVU T-Tree hair repair products are phenomenal and let me tell you why! First of all they are affordable. The three products that I tried out were each only six dollars. You get a lot of product inside of those containers and mine lasted me for a good 2 months before I ran out. 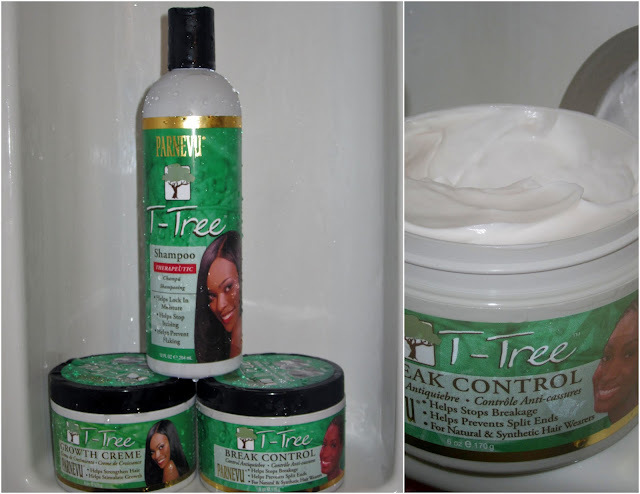 I tried their T-Tree shampoo 12 oz, T-Tree Growth Creme 6 oz, and T-Tree Break Control 6 oz. I know that these products were probably designed for a more course type of hair (African-American) but they worked very well on my average type dry wavy hair. I only wash my hair every other day, shower caps are my friend. I have a really dry scalp and anxiety that makes my hair fall out quite a bit. My hair was looking very dull and thin (to me). With the T-Tree shampoo I washed my hair like any normal person would. I did nothing different except that I washed and rinsed twice. The shampoo has a light lather and the smell is very nice, not strong. I could already feel how moisturized my hair was from it because I could run my fingers through it so easily. I like the bottle that this comes in, it's easy to use in the shower. With the two creamy conditioner type products I had to use them a bit differently than the packaging suggested. I wasn't too keen on the tub packaging, it was awkward in the shower. I would prefer a squeeze bottle or pump. The tub takes up too much space in my shower and was too wide to fit in my shower caddy. I used the PARNEVU Growth Creme while I was in the shower. I would take a silver dollar sized dollop in the palm of one hand. The I would massage it into my scalp in the area that I felt needed it most and stick a shower cap on top to help hold the heat in. I left it in for around 5 minutes while I shaved my legs and then I would rinse my hair just enough to have it not feeling too slick, there was still some product in my hair. Once out of the shower I would blot my hair with a towel, comb it out and then put a quarter sized bit of the PARNEVU Break Control in my palm. I rubbed my palms together and then just worked that into the bottom part of my hair down to the tips. After that I styled my hair as usual, this always involves my blow dryer and some other heated tool. I found new hair growth in week 2 and it was quite a lot! I had little frizzy baby hairs sprouting up in the areas that had become sparse. It as purely amazing and I truly believe it was the PARNEVU working it's magic. I also felt like my hair was breaking a lot less and so it was feeling a bit thicker. I definitely noticed a ton of extra shine that wasn't there before. My hair looked and felt much healthier after using PARNEVU T-Tree products. AFTER 2 month of PARNEVU T-Tree - Shiny and strong! I am 100% happy with PARNEVU T-Tree products and totally recommend them if you are looking to improve your hair. Enter to WIN three PARNEVU products of your choice below!